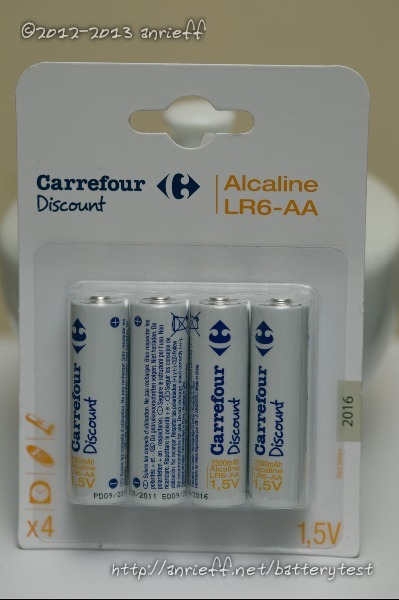 These batteries are very similar to the other ones from the same store - „Carrefour Alcaline“ - but some form of discount on the price is expected. The actual price tag varies, I bought them at 0.61€, but they are seen lately positioned at 0.76€. 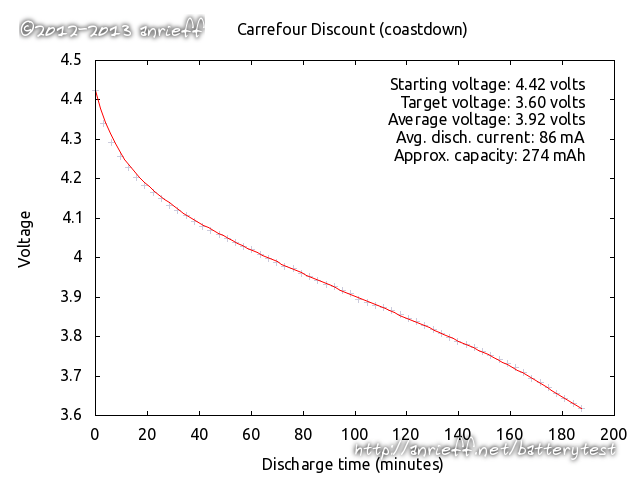 Among the non-rechargeable chemistries, the Carrefour brand is the only one so far that mentions a capacity on the label. 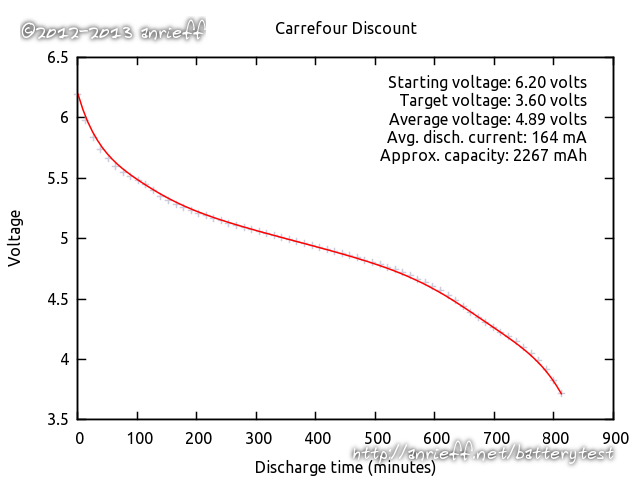 In this case, it claims 2500 mAh, which is a bit overstated (or a lower discharge current is implied). In any case, this variant is virtually indistinguishable from its „Alcaline“ counterpart (which is also labeled as 2500 mAh).